Arrive in Quito. You are welcomed at the airport and transferred to your hotel. The rest of the day is at leisure. 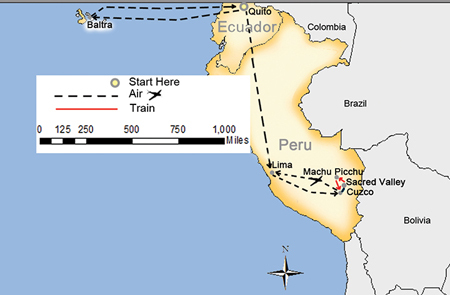 Transfer this morning to the airport for your flight into Lima, Peru. 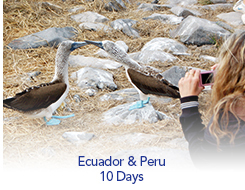 You are welcomed and embark on your tour of Lima. Your local expert focuses on the city’s colonial heritage during a walking tour. •	Complementary snorkeling equipments & wet suites during Galapagos Cruise. Pablo Seminario Peruvian Ceramic Souvenir for SITA guests.